The sopranino is the 2nd highest member of the saxophone family and like the alto is pitched in the key of Eb (but sounds an octave higher). It is one of the rarer members of the saxophone family and is most commonly made straight rather than curved due to its small size. They are quirky, fun and a great addition to the saxophonist’s collection. 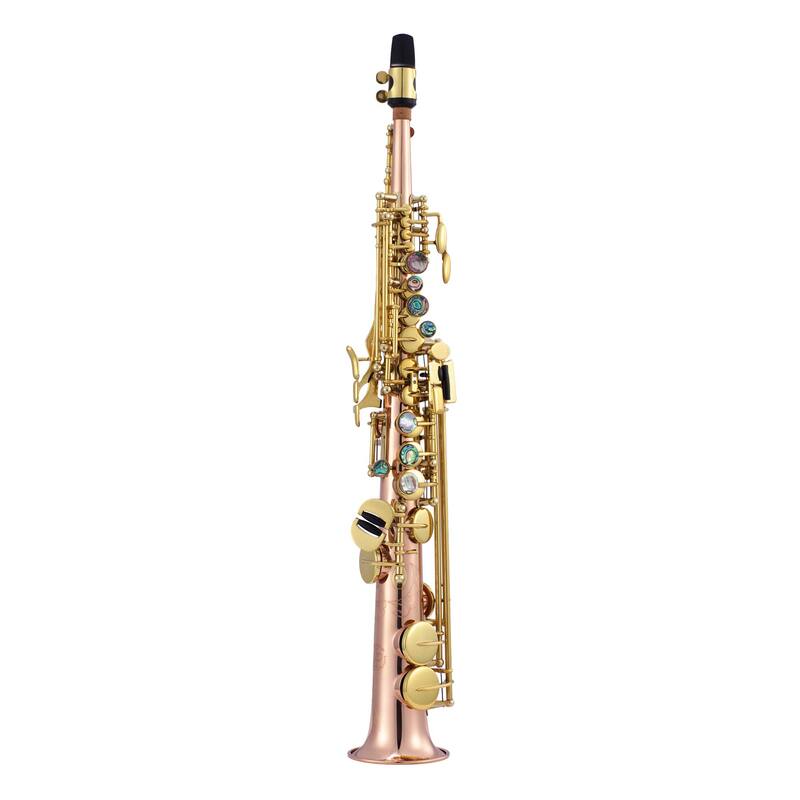 • The JP146’s rose brass body warms and mellows the focused sound and helps the sax to blend with the other group members. The soprano sax is the next member of the saxophone family and is pitched in the key of Bb like the tenor sax (octave higher), clarinet and trumpet. They can come in a straight or curved design.  • Choice of straight and curved necks, a feature normally found on professional level instruments. 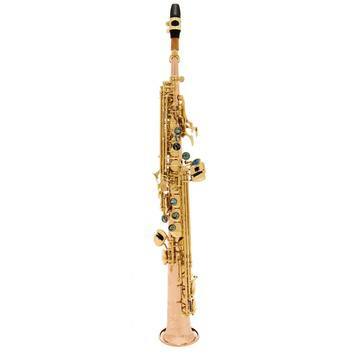 We also stock a curved soprano sax! 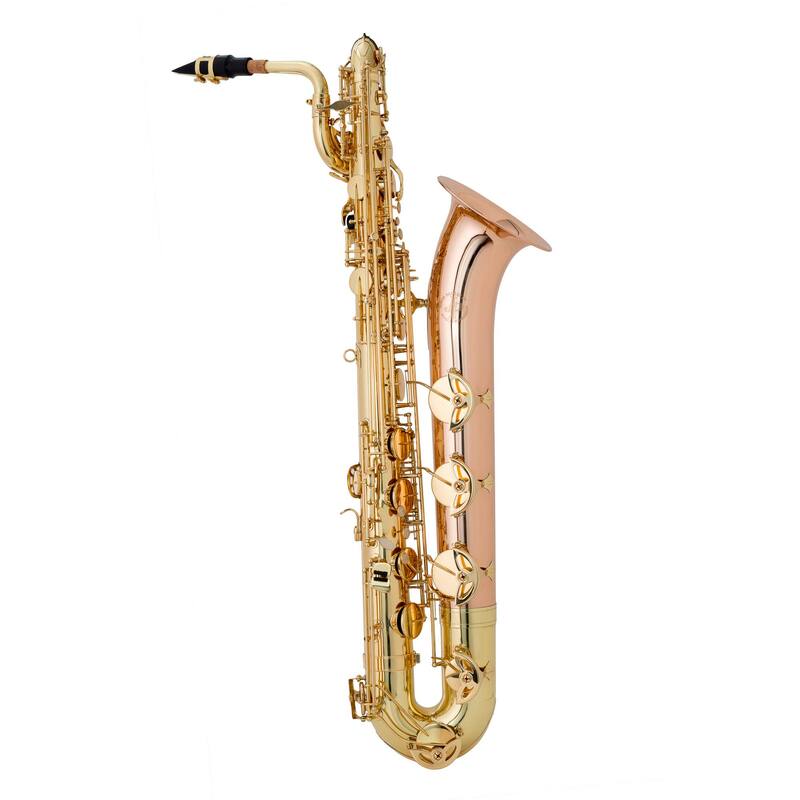 The JP043CG is proving very popular with young students who cannot manage the weight of a full alto sax, although this should be with decided with the teachers input as sopranos are notoriously tricky to tune. Like the straight soprano it is pitched in the key of Bb but many professional players like the way the curved model projects the sound forwards rather than towards the floor. The baritone sax sits underneath the tenor sax and is much more common than the other lower saxophones (bass, contrabass & tubax). Like the alto it is pitched in the key of Eb but sounds an octave lower. The low and juicy sound of the bari make this a desirable asset to the bass line of any ensemble.